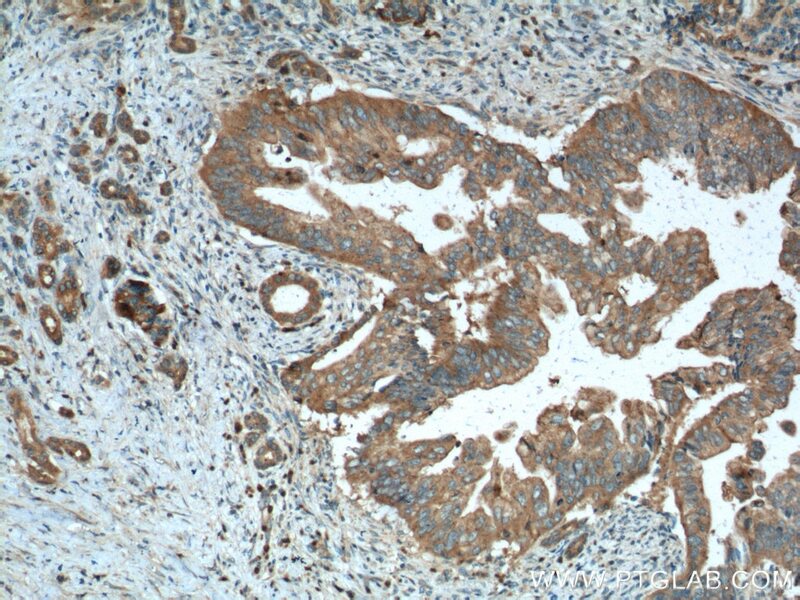 Immunohistochemical analysis of paraffin-embedded human pancreas cancer tissue slide using 12540-1-AP( Amylase, alpha antibody at dilution of 1:200 (under 10x lens). heat mediated antigen retrieved with Tris-EDTA buffer(pH9). 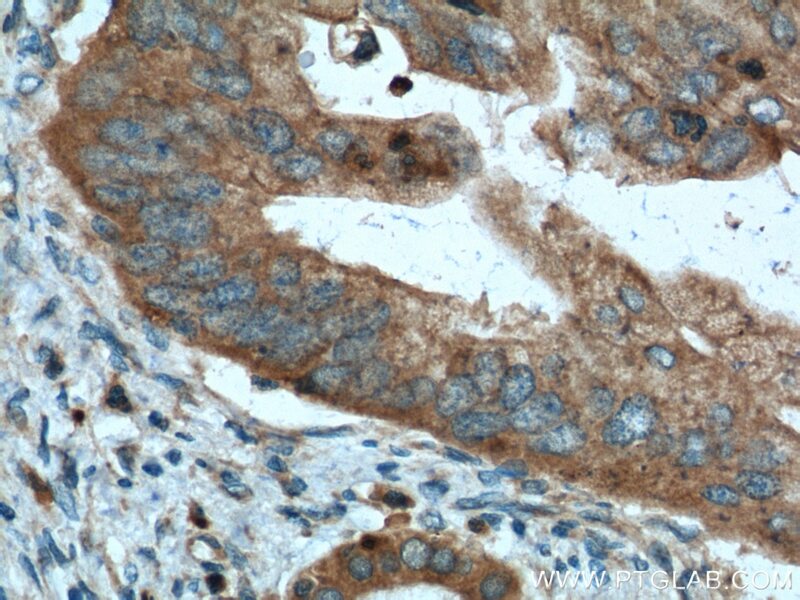 Immunohistochemical analysis of paraffin-embedded human pancreas cancer tissue slide using 12540-1-AP( Amylase, alpha antibody at dilution of 1:200 (under 40x lens). heat mediated antigen retrieved with Tris-EDTA buffer(pH9). AMY2B(alpha-amylase 2B) belongs to the glycosyl hydrolase 13 family. This protein is involved in the endohydrolysis of 1,4-alpha-glucosidic linkages in oligosaccharides and polysaccharides. The full length 58 kDa protein has a signal peptide with 15 amino acids. Human amylases (Amy1, Amy2A, and Amy2B) commonly have two potential N-glycosylation sites (N427 and N476) in their C-terminal region (S Takashima, J Amano, 2012). 12540-1-AP can recognize both AMY2A and AMY2B. Vacuolization of mucolipidosis type II mouse exocrine gland cells represents accumulation of autolysosomes.